United Kingdom, December 2016 – The Brownsword Group has been awarded Best Insurance Investigation Firm 2016. These awards highlight the truly top performing businesses, individuals and departments on today’s financial landscape, and our expert teams have worked tirelessly throughout the process to ensure that only the most deserving receive one of our prestigious awards. 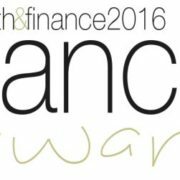 The 2016 Finance Awards are dedicated to supporting and recognising talented and dedicated firms, individuals and departments. Now in its 3rd year, the Finance awards are a prestigious program, and winning one is no mean feat. It is a badge of honour, a stamp of excellence, and all of our award winners are part of an exclusive and illustrious group comprising of some of the most influential names in the market.